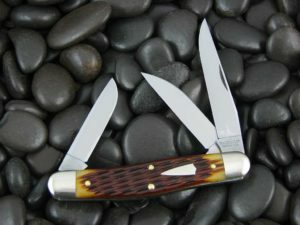 It will be late next week before all these shipped from GEC. 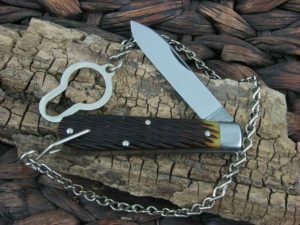 This is the Great Eastern Cutlery Tidioute Boys Knife Jack, has Gabon Ebony Wood handles and Steel liners. The blade steel is 1095 and finish is Satin. 5 out of 5	Archetypal pocket knife! 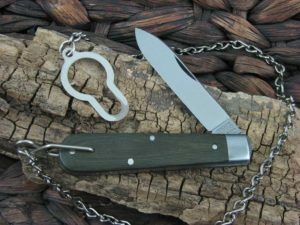 The #15 is the sum total of what a pocket knife should be. 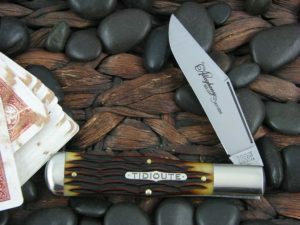 It is small enough to carry easily, and its 2.75″ blade will serve for just about any ordinary task. Fit and finish is typical GEC: nearly perfect! I must confess that I do not prefer the steel liners and bolsters, but I suspect that it contributes to making this one of the most affordable GEC knives, and if cared for, should not be a problem. The pull strikes a great optimum between stiff and weak, and produces a satisfying walk and talk. Its a great size that stays within the category of “tool” and not “weapon”, which helps avoid a certain sort of awkwardness these days.